Are you looking for a new, creative and eco-friendly idea for your company gift? Our bags are a great option that can be used year after year. We can work with you to find fabrics that match your brand and include your logo on our products. Send us an email at fran@fourseasonsgiftbagco.com to get started on your project. Wine bags made for Devils Glen Country Club. 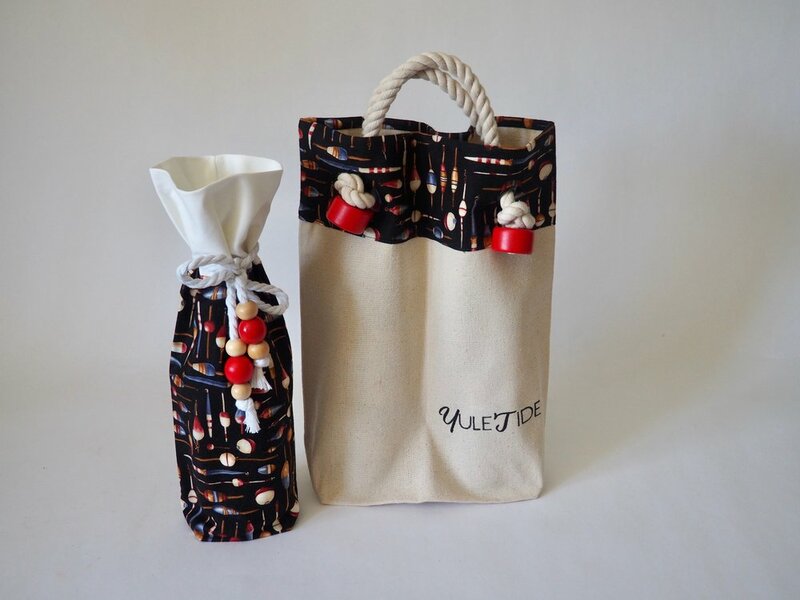 A single and double wine bag for YuleTide. Our bags come packaged together in a delicate and beautiful fashion. 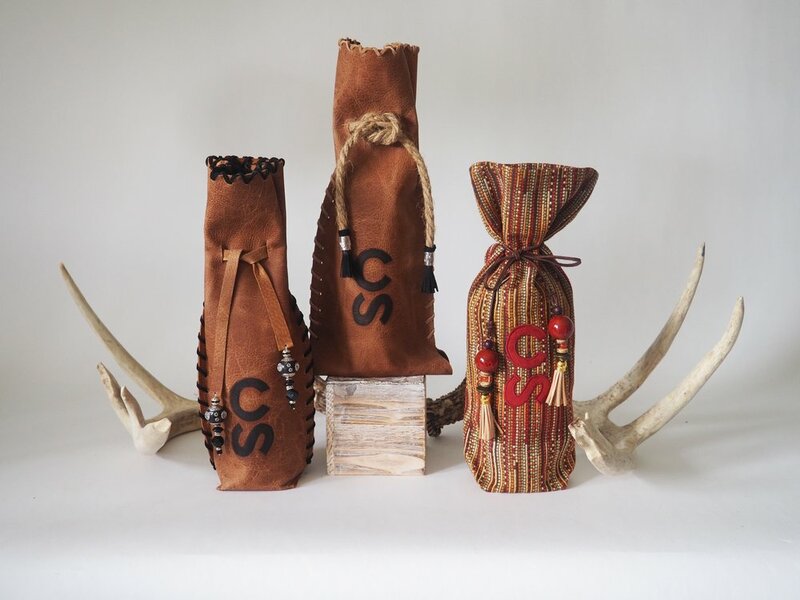 Wine Bags for The Calgary Stampede. 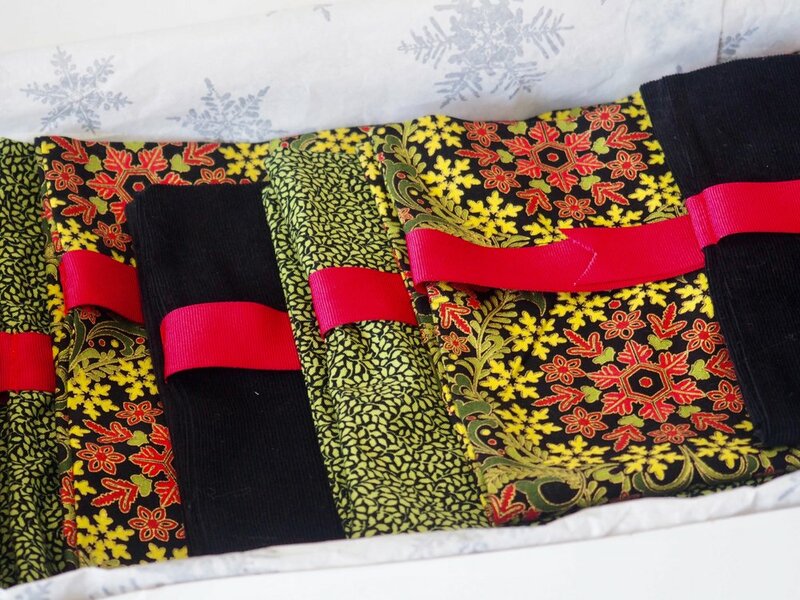 We provide professional boxes and coordinating ribbon for our products - all you have to do is give the gift!